Leisurely nature walk guided by Jim Hurley. 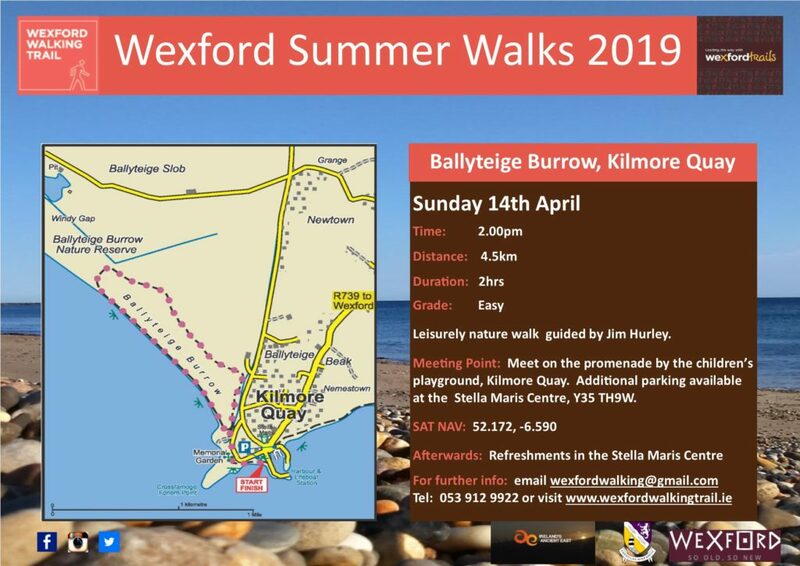 MEETING POINT: Meet on the promenade by the children’s playground, Kilmore Quay. Additional parking available at the Stella Maris Centre, Y35 TH9W.